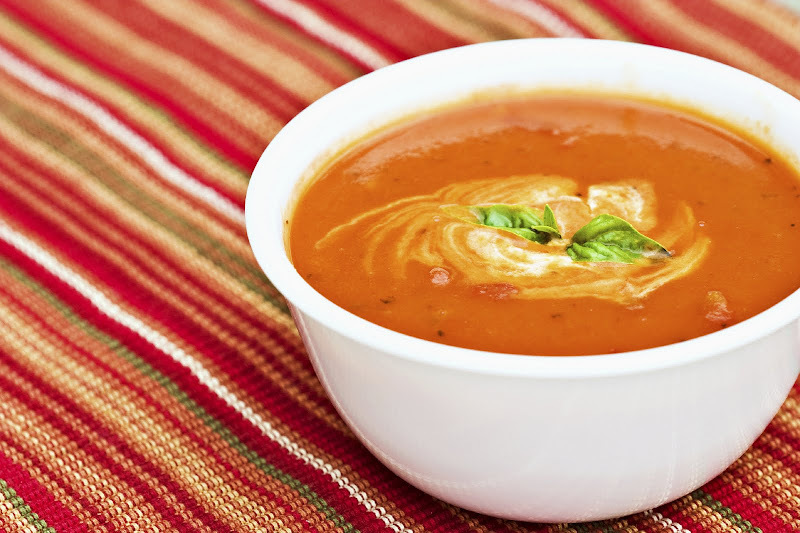 When you try this super easy and delicious soup, you'll never be happy with canned tomato soup again! How can six ingredients be so good? A perfect post-op meal when you swirl in PURE Unflavored Whey Protein Isolate that you have dissolved in a little milk or even Greek yogurt. Serve to your family with a small salad or turkey sandwich for a simple weekend supper. Give this one a try - it's a keeper! Melt the butter in a large saucepan, over medium heat. Add the onion and garlic - cook until softened. Place the cooked vegetables and the tomatoes in a blender and blend until smooth. Pour the creamy tomato mixture back into the pot - stir in the basil and the chicken broth and bring to a boil. Simmer for 15 minutes. Serve with a swirl of about a tablespoon of half & half if desired. This entry was posted in Bariatric Recipes, Main Dishes, Soup, Stew, Chowders & Chili, Vegetable Main Dishes & Sides and tagged Soups, Vegetarian.